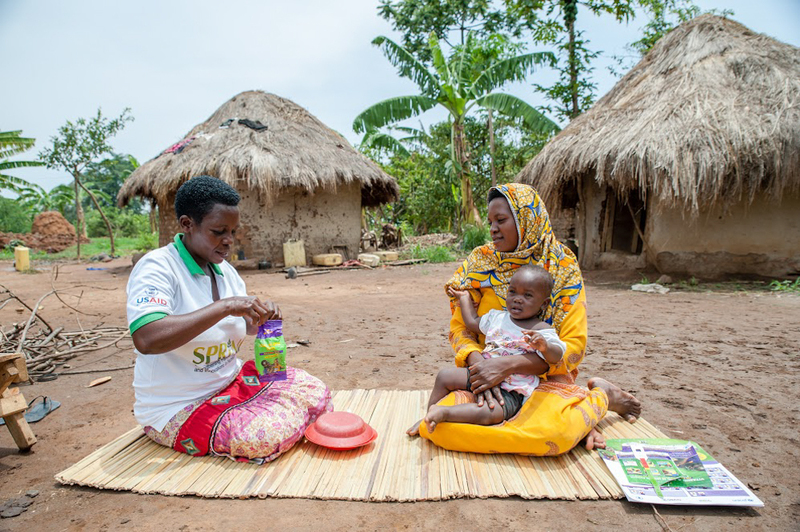 SPRING/Uganda supported the Ministry of Health to roll out a micronutrient powders (MNP) pilot project in Namutumba District. Namutumba is one of eight districts that are characterized with high incidence of micronutrient deficiencies. 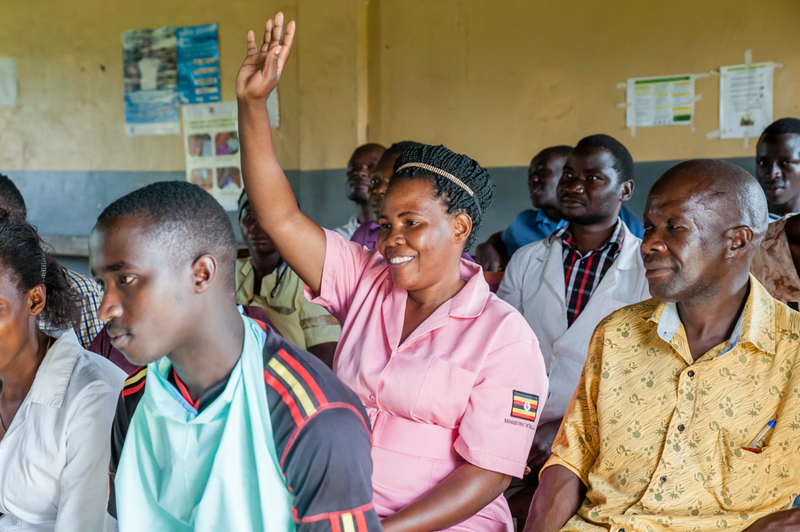 The pilot project in Namutumba evaluated the most cost-effective method of delivering MNP, using implementation research to compare two delivery mechanisms: through health facilities or through health facilities with distribution by community-based Village Health Teams (VHTs). 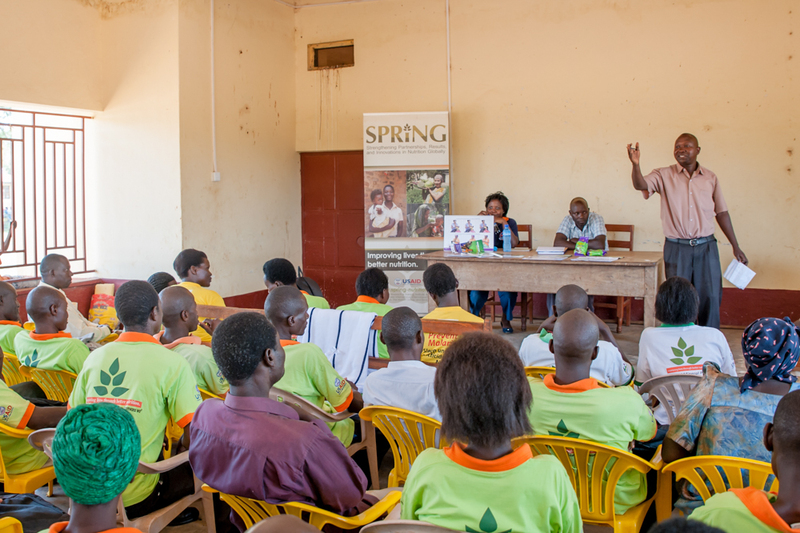 Through this pilot project, SPRING provided MNP to every facility in the district. Both arms of the study started at the health facility. Under the health facility arm, all caretakers of children aged 6-23 months who visited the facility for health services received a packet of MNP from either trained health workers or facility-based Village Health Teams. Children and their caretakers received MNP in addition to the treatment for any underlying illnesses. 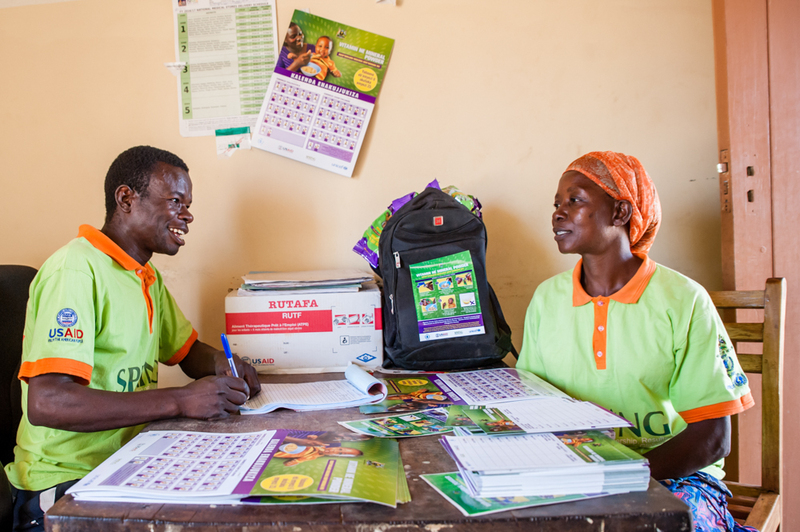 Under the community arm, trained VHTs obtained MNP from the health facility and distributed them to caretakers within their respective villages. VHTs also conducted counselling and follow-up visits to give refills and ensure proper usage and adherence by the caretakers. These photos (below) show scenes from the distribution by both arms of the study. 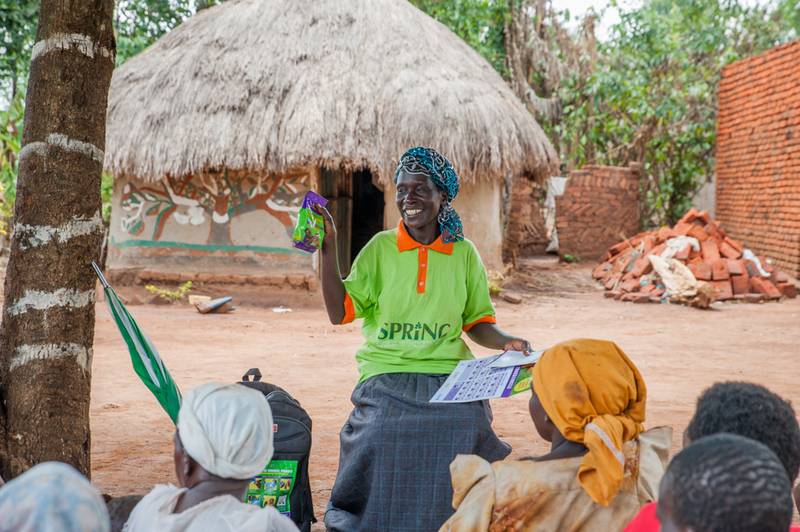 Learn more about SPRING's experience in micronutrient interventions. Micronutrient powders (MNP) being delivered at the health facility for distribution. 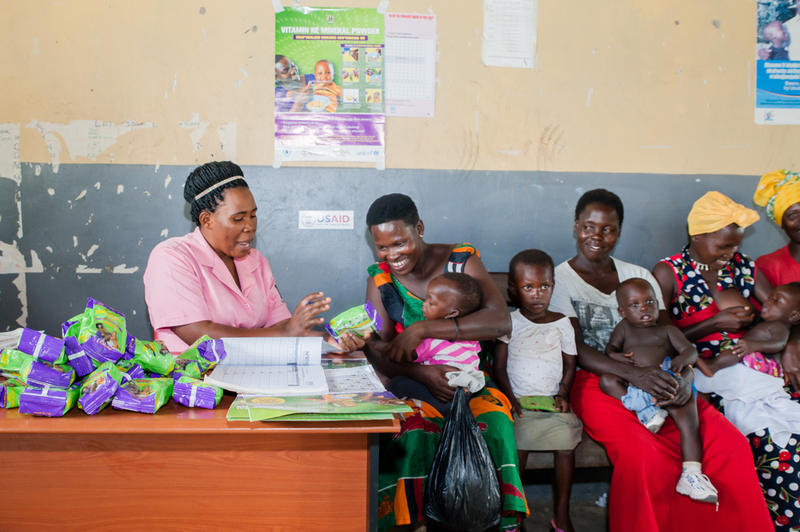 SPRING delivered over 600 boxes – around two million one-gram sachets – of MNP to health facilities in Namutumba district from February to December 2016. Health workers being trained about MNP and the benefits of consuming them. Health workers distributing MNP in the facility arm received training on MNP use, stock management, and counseling techniques. 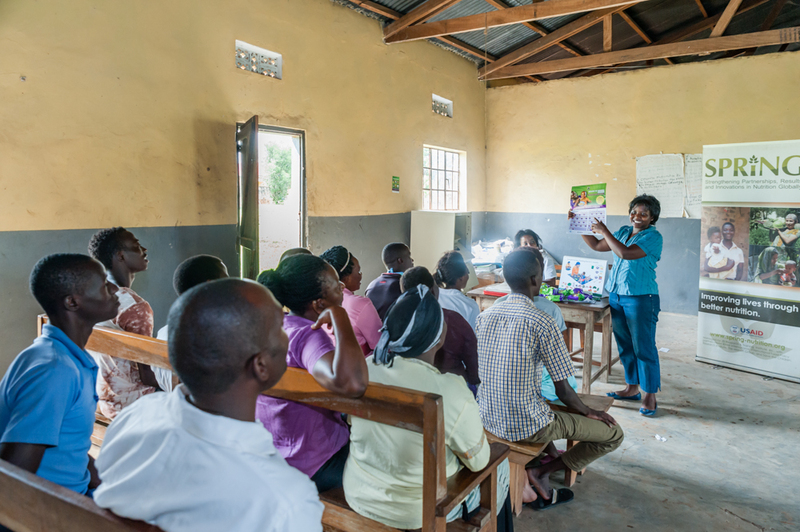 Just like health workers, Village Health Teams (VHTs) were also trained about MNP and their benefits to children. Health assistants like Patrick Busense were key in the success of this activity. 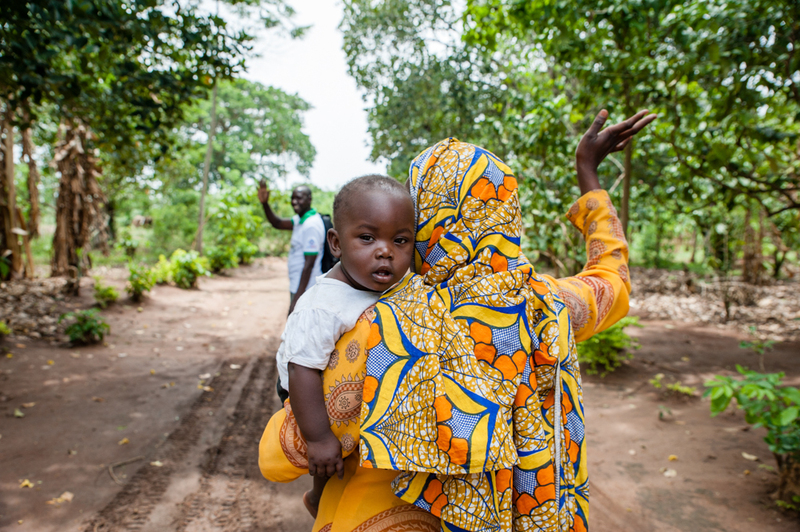 Tendo Nabirye, a mother in a queue at the health facility waiting to receive MNP sachet, as another listens to instructions on how to use MNP from a health worker. Susan Mulwanyi, a VHT, picks MNP from a facility. What she picks is what she will distribute in households through the community arm. 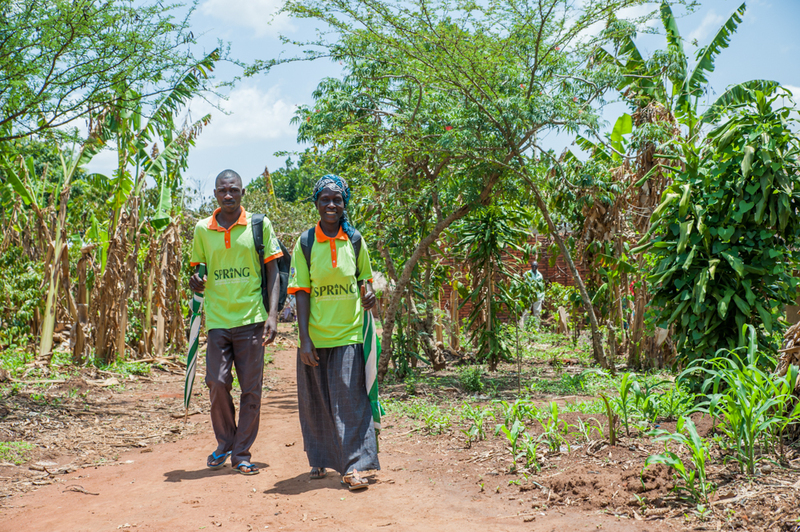 VHTs Rogers Wangemi and Salima Muyodi walk towards a homestead to distribute MNP to caretakers. There were two VHTs trained in each village of the community arm. Salima Muyodi, a VHT, teaches mothers and caretakers about MNP. MNP are an effective intervention for decreasing anemia in young children, but getting the benefits requires regular use of MNP from age 6 to 23 months. 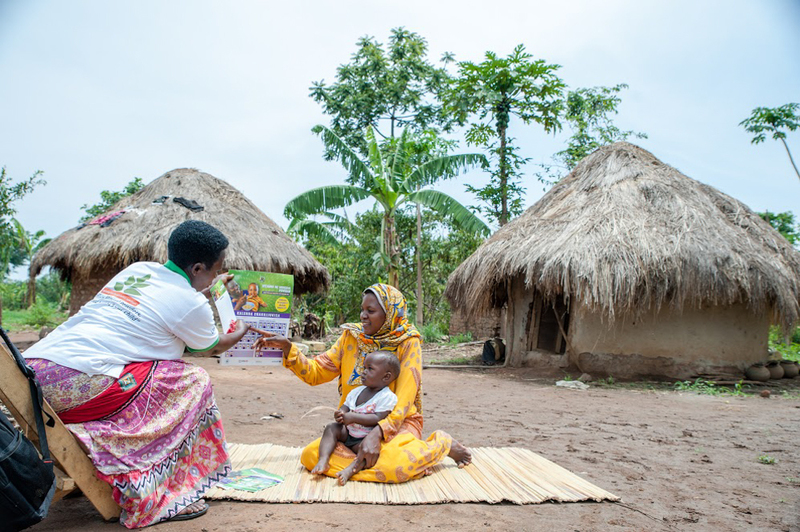 Janet Muwolya, a VHT, explaining to a mother about MNP and the benefits a child gets from consuming food mixed with the powder. 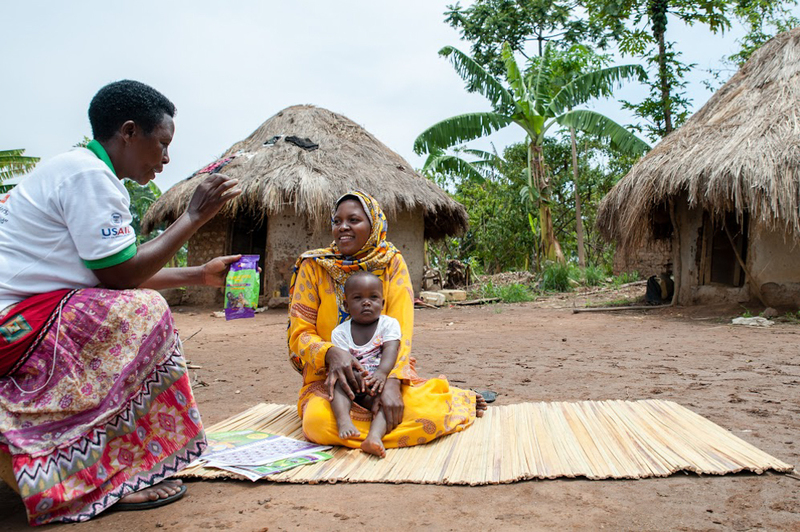 Sauda Namukodda, a mother, learns how to use the reminder card to enable her remember when to next add MNP to her child’s food. 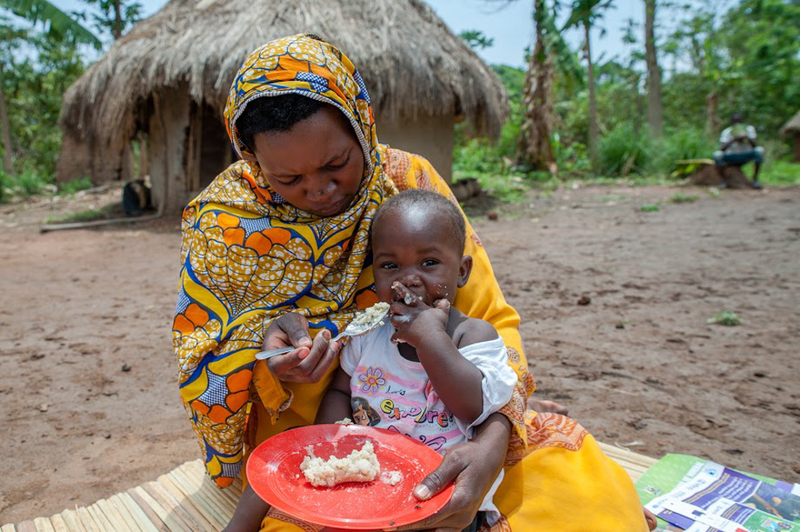 Muwolya, a VHT, shows the mother how to mix MNP in the child’s food. MNP should be mixed into warm soft foods. Rahimu Kyuka, eight months, enjoys his meal mixed with MNP. When properly mixed into foods, MNP do not change the taste or color of foods. 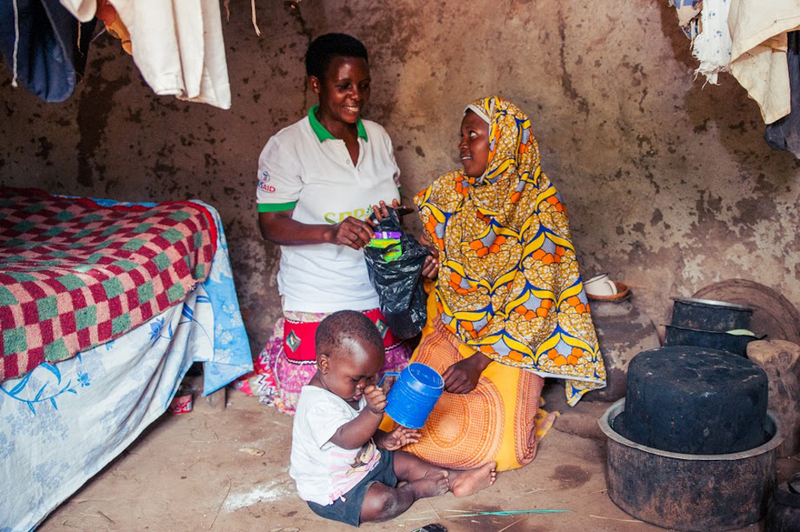 Muwolya, a VHT, shows the mother where to keep the MNP sachet in order for it to remain in good condition. 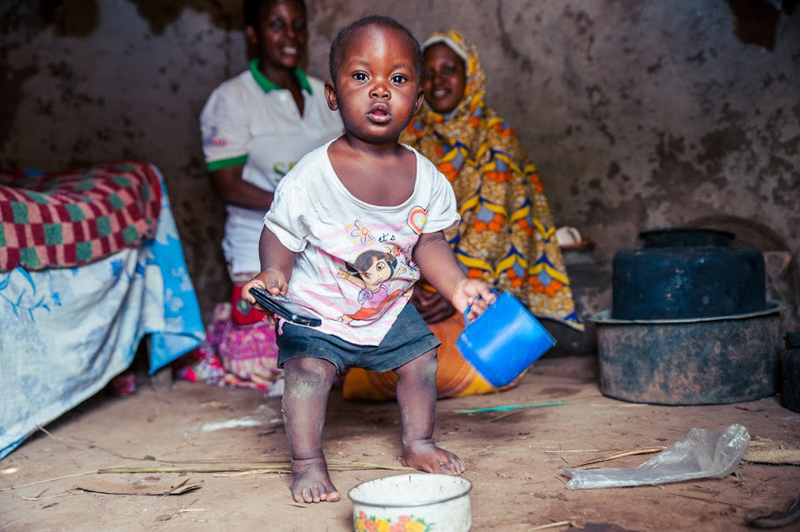 Rahimu Kyuka has been having meals mixed with MNP since he was six months. He is now eight months. His mother says that of all her children, he has the best appetite. She says the other children did not have food mixed with MNP. A VHT bids farewell to a caretaker after giving her MNP for her child.